Jefferson C. Franklin at work on a low drivered switcher in the Vancouver yards. 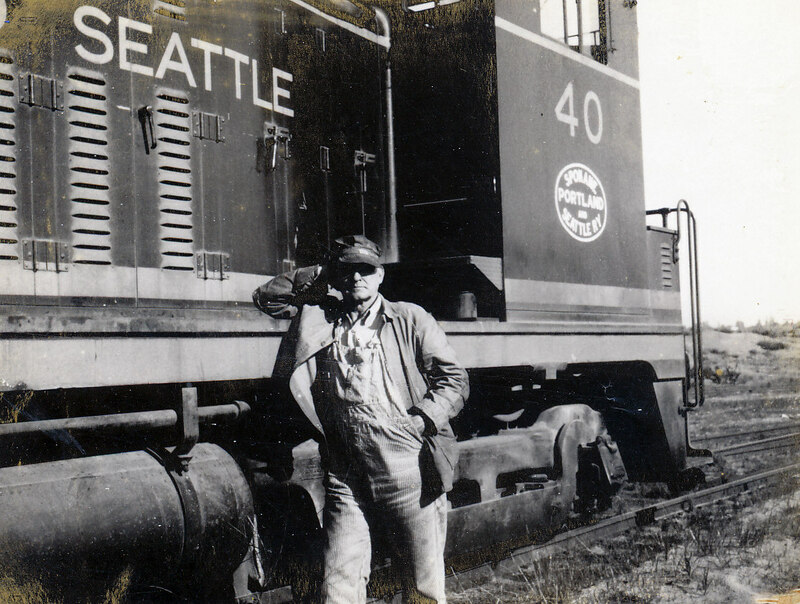 Rather than go into the SP&S railroad’s history, which is widely available, I want to focus on the work of my Grandfather, Jefferson Clark Franklin, as a fireman with the SP&S. Jeff, as my Father referred to him, was born in 1893 in Madison, North Carolina and died July 1963 in Seattle, Washington. 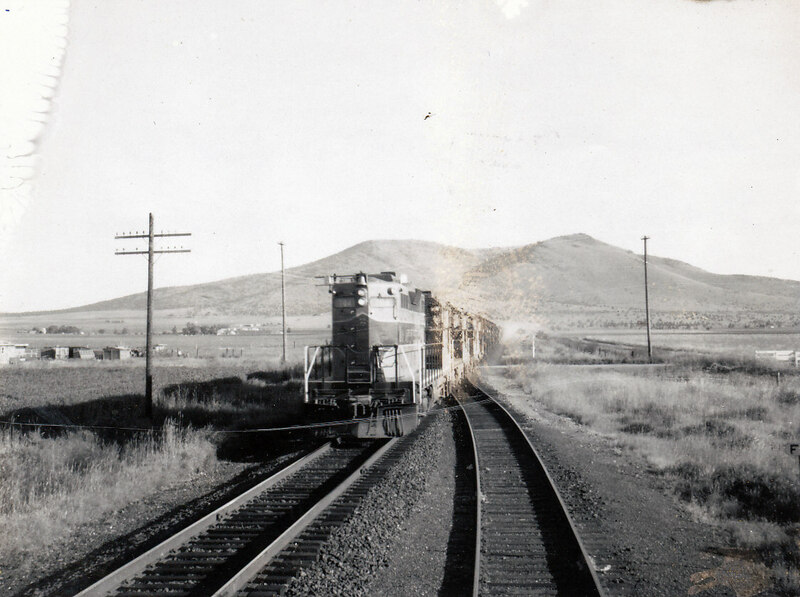 From early 1944 until the Spring of 1959 Jeff fired on both steam and diesel engines from Vancouver to Wishram Washington and up the Oregon Trunk line, regularly logging over 2000 miles per month. In the next photo Grandpa Franklin stands next to SP&S, NW2 #40, and comments on how hansom he looks, taken in the early 1950’s. 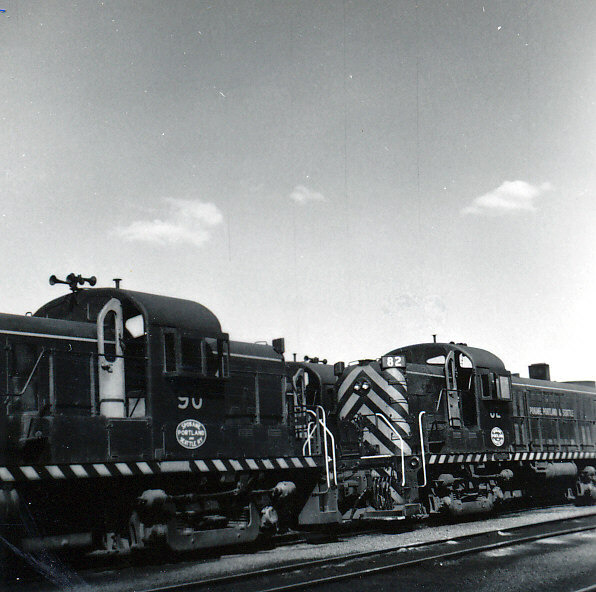 Other engines Jefferson fired on included SP&S Alco #90 and #82. Engines Jeff Franklin worked as Fireman. Occasionally Jefferson worked the Oregon Trunk as shown in this photo of Juniper Butte near Culver, Oregon. The photo is titled waiting for a Great Northern Geep. I have stood and photographed this very spot. Apparently Jeff also crossed the Columbia over to Portland, Oregon and worked the yards there. 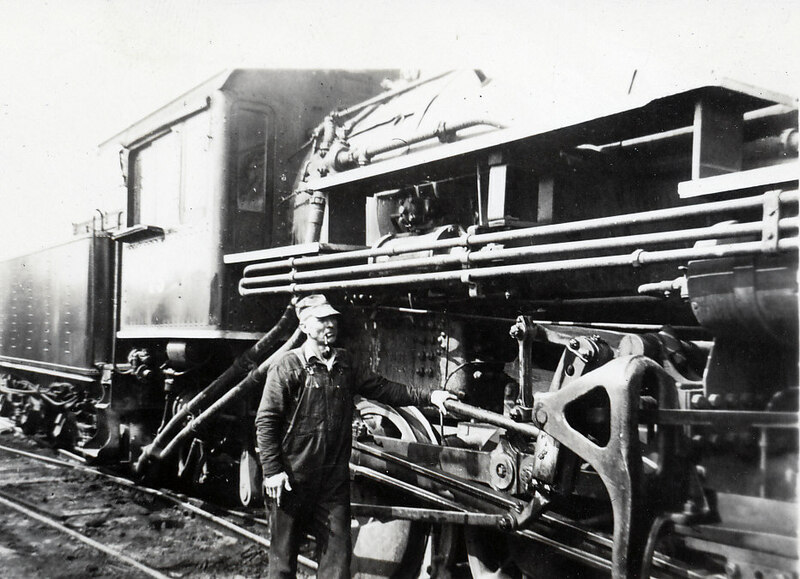 Here we see him throwing a switch for UP engine #4436, a Baldwin 0-6-0 built in 1918 and now on display in Ogden, Utah. 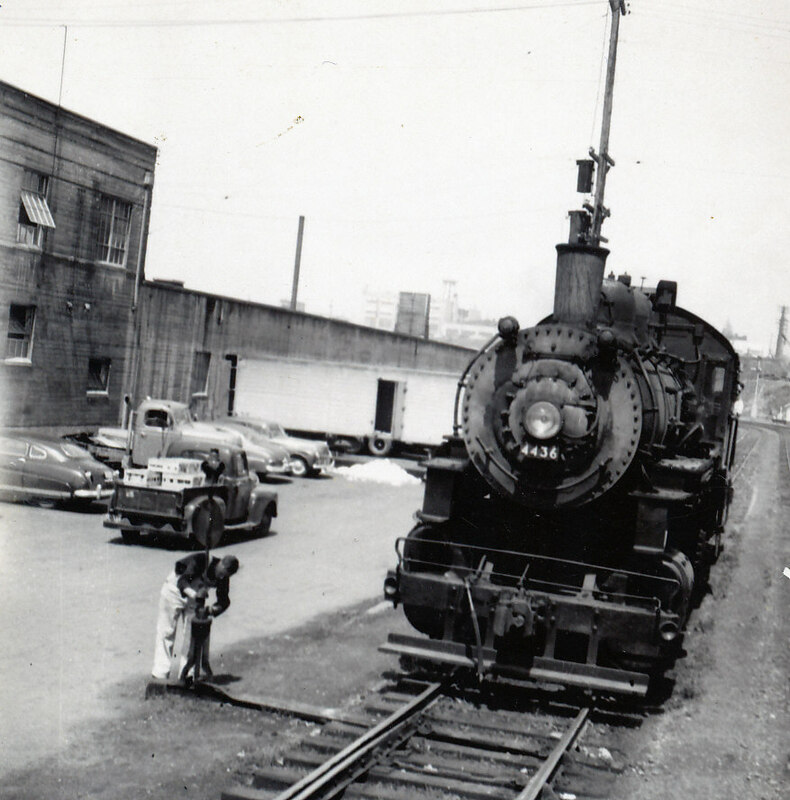 UP did have trackage rights on the SP&S through Vancouver to Seattle Washington. Working the Portland yards with a UP engine. 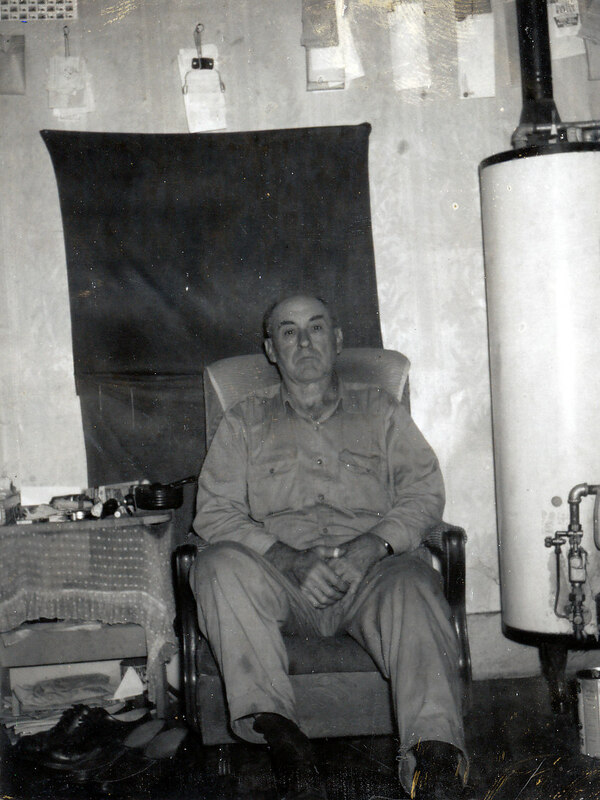 My last picture of my Grandfather, Jefferson Clark Franklin, was taken June 1963, not long before he passed away at the end of July, at his small room on West 13th street in Vancouver. This was the only time I ever got to see him in person. I feel somehow related, through him, to the SP&S along the Columbia.